In the St. Lucie River, the snook bite has slowed down. Anglers working the bridges and sea walls at night are faring best. Black drum and sheepshead are still being caught around the channel markers. There have been decent pockets of pompano in the river. They are being caught on Doc’s Goofy Jigs and using shrimp on a jig head. Pompano are also being caught on the beaches, as are permit, whiting and croaker. If targeting pompano in the surf, the best bet is using sandflea Fishbites or clams. Surf anglers reported some decent pompano, permit and Spanish mackerel catches about a quarter mile north of the Boynton Inlet. Live sand fleas and small crabs are working well for pompano and permit and throwing two-ounce Gator spoons early in the morning produced Spanish mackerel up to three pounds. Best tip was to fish the last hour of high tide and the first two hours of the outgoing tide near rips. 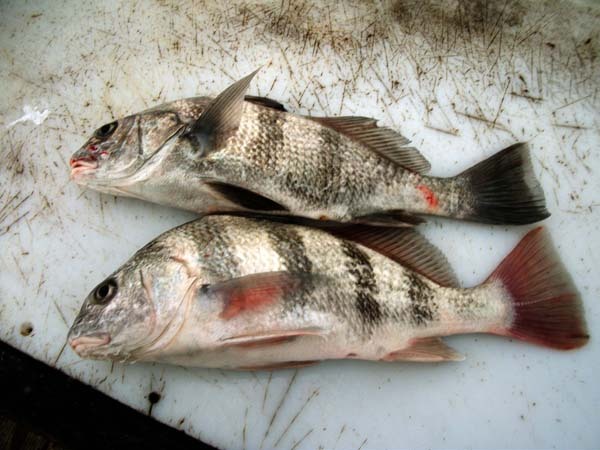 Fishing at the Lantana Bridge has been slow with a few sheepshead caught on crabs and live shrimp. Though not red hot at the moment, the bass fishing has been decent in several areas. Anglers working the round reeds around Observation Shoal are having success flipping black and blue Senkos and reeling them back slowly. Also, between the J&S Canal and Henry Creek there’s been a good bite using spinner baits in the early morning and switching to flipping and pitching in the afternoons. The spec bite is picking up, but a bit inconsistent. Anglers going out at night will have one outing where the action is average and the next night red hot. The action should increase and become more consistent following the cool front.